1.Out in the open – A simple and eye-catching way to include a free standing bath in a bedroom is with open plan designs such as this. 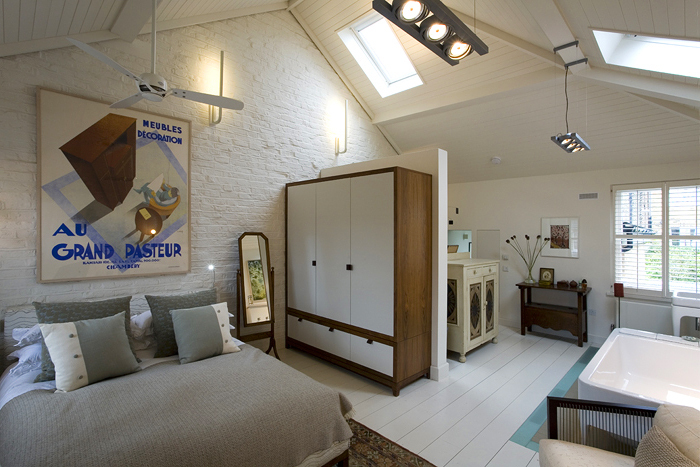 For this master bedroom we balanced the contemporary bath fittings with eclectic furniture, textiles and wood finishes to keep the overall effect warm and casual. 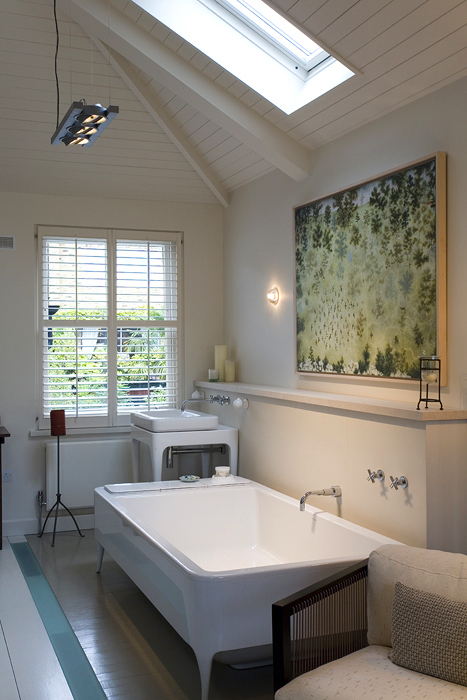 2.Naturally serene – If contemporary fittings still feel too minimalist for you, a free standing bath with a curved shape can bring warmth to a room. For this design we softened a largely white space with a curved tub set at an angle, warm recessed lighting, quirky beach pebble cushions and gold accessories to give a feminine, romantic feel. 3. Behind glass – For those not quite sold on a totally open plan scheme, an ensuite encased in unfrosted glass can provide a show-stopping update while keeping noise and steam to a minimum. 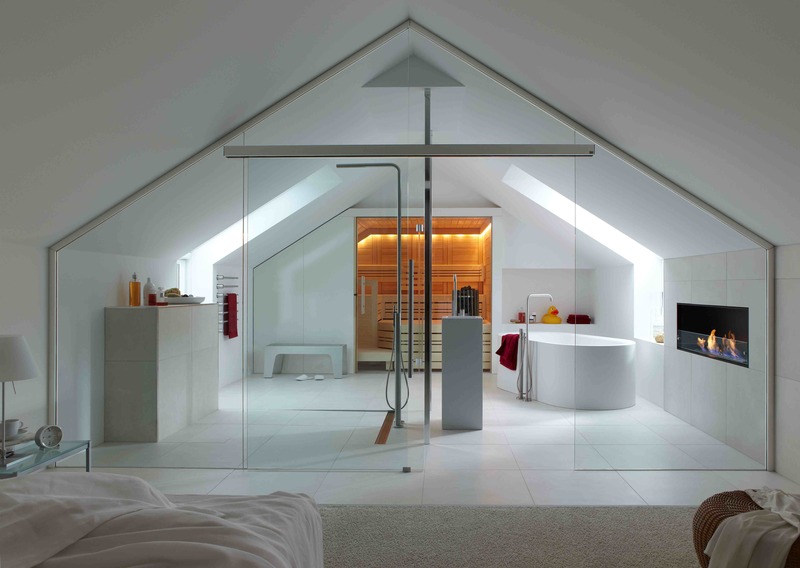 These glass ensuite designs demonstrate how the addition of glass can bring a sense of quiet order and serenity to any space. 4. Be upstanding – Even the smallest of bedrooms can be given an injection of instant chic with a free standing shower such as this classic Drummonds Spittal Shower. If you want your room as spacious as possible, or balk at the idea of reinforcing your floors, this elegant free standing shower may be the option for you.